Phoenix Point plans to ramp up X-Com’s tactical combat and procedural generation to a whole new level. Given the immense success of the renewed X-Com franchise, being able to play a new tactical game from series creator Julian Gollop is a no-brainer. 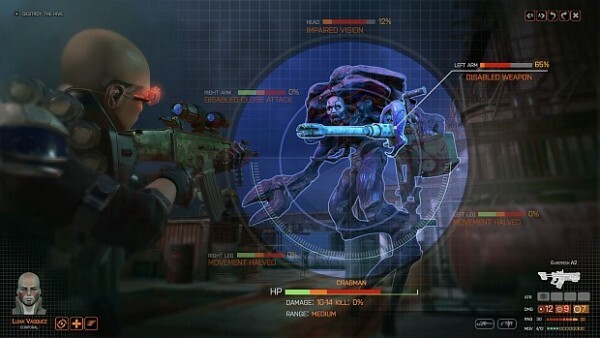 But Phoenix Point is promising to be bigger than simply “more X-Com” – it wants you to change your entire strategic outlook on the fly while facing a brand-new apocalyptic horror. 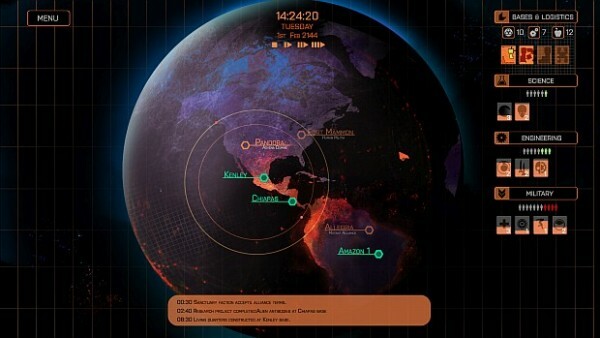 Phoenix Point takes place in 2046 after Earth’s permafrost has melted, unleashing a dormant alien virus into the oceans. The virus is especially deadly because it mutates any organic lifeforms it touches, transforming ocean life before making its way onto land. In gameplay terms, the virus is represented by a mist that literally spreads across your Geoscape, and acts as cover once you deploy soldiers on the tactical map. 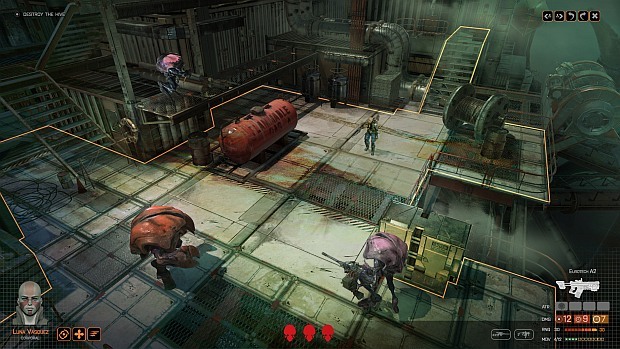 On top of that, Phoenix Point’s procedural generation system means the virus – and enemies you face – adapt biologically to your strategies. “Procedural generation works on two levels,” Gollop told Rock Paper Shotgun. “The first is interchangeable body parts. The other thing is morphing in size and shape to some extent. It might be that an alien has a vestigial element that can get larger. 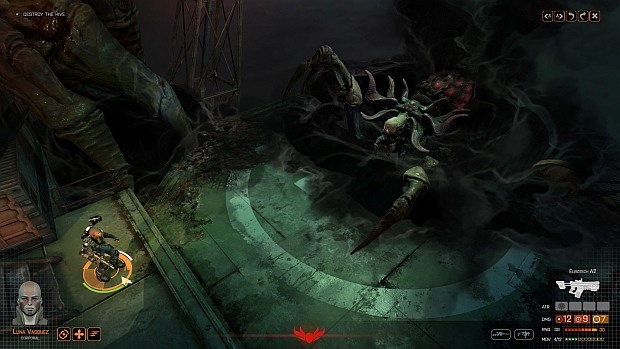 Or it might be a relatively small creature that is based on a large insect or bat, but that might get bigger or nastier.” Phoenix Point might also grant its enemies new armor that lets them resist your bullets, or throw mutated elephants at you that destroy you with sheer size. Players control the survivors at Phoenix Point, an isolated survivor community trying to keep the monsters at bay. When the game begins, you’ll be gathering food and resources to ensure your people can thrive. Eventually you’ll uncover other havens where humans managed to survive. With diplomacy, some havens might be willing to trade with you, while others will simply attack you for supplies. Others might even wage war with each other outside of your influence, while a few might be considering ways to co-exist with the aliens. Then you have the tactical combat itself. The alien mist acts as a fog of war on the battlefield – while you can see vague shapes and open fire on them, you’ll never quite know what you’re facing until they emerge from the dark. Thankfully, you can target individual body parts to disable or slow enemies instead of outright killing them, which might be essential for larger creatures. Missions themselves are also procedurally-generated, granting objectives and key strategic points soldiers can take advantage. Soldiers themselves are fully customizable too, helping you get attached to them before a mutant or enemy human cuts their life short. The bad news? We still have quite a long wait before Phoenix Point will be released to fans. Gollop is currently aiming for a 2018 release date, and is currently in talks with publishers. Whatever happens, if you’re a fan of X-Com’s tactical combat, this will be a game worth paying attention to.